Summer is finally here. We hope you are all enjoying the great weather and some downtime from your day jobs. Spring was fantastic for our foundation highlighted by April’s FINOS launch. In keeping with the seasonal theme, we saw our community blossom, from our programs (nine and counting, with the recent approval of the Data Technologies program from Citi, JPMC and Morgan Stanley), to growing interest in the press (see our features in Forbes and American Banker) to the strong engagement of our members in financial services achieving ever more maturity in their engagement with open source (thanks for an amazing Members Meeting in NYC). This is why, as a team and as a community, we are dedicating the rest of the year to uncovering new opportunities to deliver business value through open source and standards collaboration as well as keeping a laser focus on removing friction to effective open source collaboration in financial services. We’re already seeing great progress. I want to give a special mention to FDC3, which is paving the way as the fastest growing program in the Foundation. Other key Foundation-led initiatives like the Open Source Readiness Program + Member Success; our Open Developer Platform; and a very special edition of the Open Source Strategy Forum (OSSF) this November in London will help us achieve that goal. More to come on these topics in our next issue. So if you are a bank looking for a trusted forum to learn about and grow your open source practice, a technology vendor looking to build a successful open ecosystem in financial services or even an open source leader looking to grow your industry offering services through ODP, please reach out today to the Community or to the Foundation team. There’s been no summer let up for the FINOS community despite what is often a quieter time in the financial services industry. Our members and contributors have been keeping busy, despite the record heat, working on what’s now nine foundation programs. 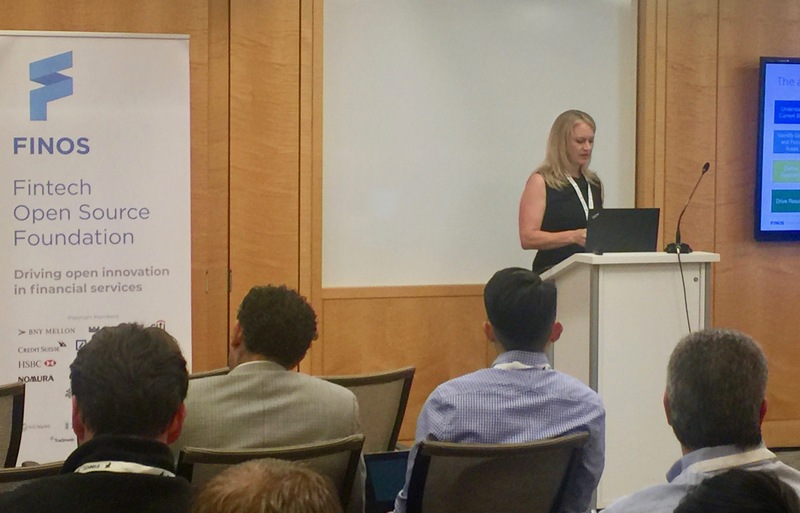 We’ve also been busy growing our community and sharing the work of our programs and contributors with interested financial services developers and organizations around the world. On June 26th, we did a call for contributions, bolstered by a media advisory put out that same day, for two recently released programs, Open Source Readiness and Financial Developer Experience. Going forward we expect to do more Calls for Contributions, particularly for newer programs that are looking to drive participation and contributions. We’ll also continue to do press releases to announce the release of software and specifications ready for consumption and use. That same day we also held our Member’s Meeting in New York City. 120 individuals from FINOS member organizations registered for a full-day agenda that included six presentations and eight program overviews delivered before noon. Following a networking lunch there were interactive work sessions led by FINOS program working groups. Consistent with our open philosophy, we’ve made the member’s meeting slides available online. 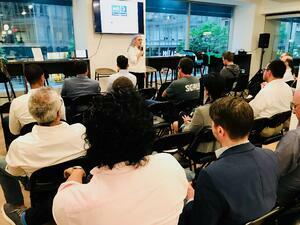 The next evening, June 27th, we held another of our Open Source in Fintech Event Series meetups. June’s meetup was at Silicon Valley Bank in New York’s Flatiron neighborhood, home to many of NYC’s leading VCs and startups. 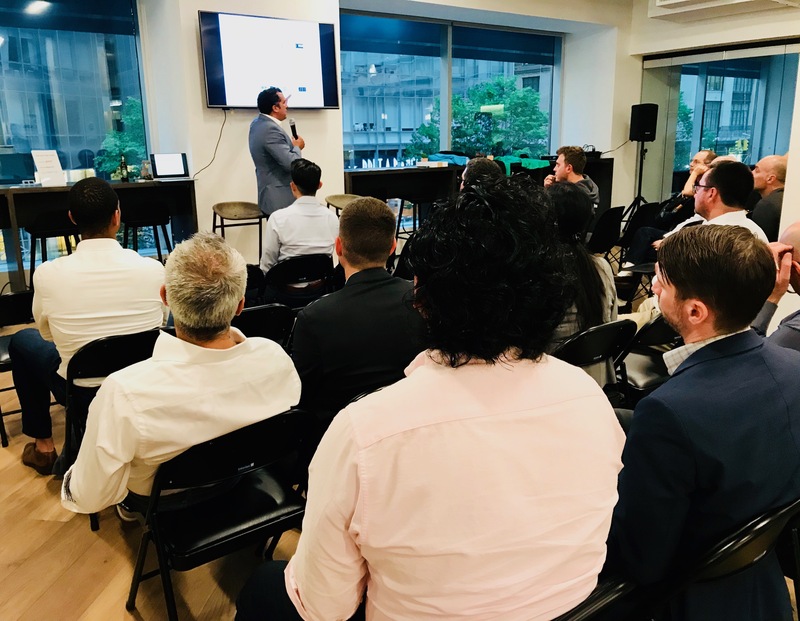 Nearly 50 technologists, executives, and entrepreneurs in financial services and fintech attended. Deb Bryant, Senior Director of Open Source and Standards at Red Hat, and Nader Shwayhat, CEO at GreenKey Technologies delivered talks. Check out our recap of the evening and keep an eye out for invites to our upcoming October and December meetups. Momentum continued through July. On July 10 the GreenKey SDK contribution to the VOICE program was announced. Source code for the SDK is available online on Github and more info about the Voice program can be found on our wiki. And just last week Glue42 announced its further commitment to the FDC3 program as part of its strategy. Looking forward to the fall, stay tuned for news on our upcoming fall board meeting, the October and December meetups, and OSSF happening in London in November. As some of you may know, Rob Underwood has been involved with FINOS as a consultant since February. Rob has now formally joined as the SVP of Programs and remains based in NYC. Please reach out to him if you have any questions, thoughts, or suggestions on our programs and program development. Still on the programs front, and in the spirit of the aforementioned call for contribution from last month, we wanted to call out that the Open Developer Platform (ODP) Working Group within the FDX program is recruiting. That working group is looking for end users from member organizations, specifically those involved in application development and operations at financial institutions; software vendors providing build automation for open source software; and API providers that work with firms in the financial world. The group prioritizes work on issues that may inhibit financial institutions from fully participating in and contributing to Open Source projects in general and specifically FINOS hosted projects. The ODP Working Group has a consolidated backlog which feeds bi-weekly sprints and is available for review and comment. Everyone is welcome to listen and submit feedback to the group, so check our meeting notes, review the ODP backlog and join our next Working Group call!